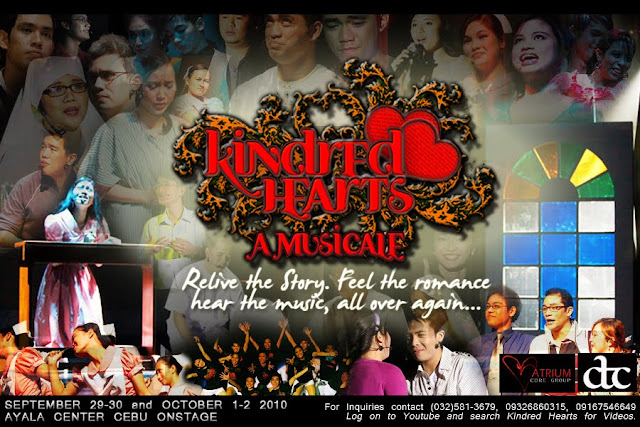 Kindred Hearts: A Musicale was premiered last December 8-13, 2009 at SM City Cebu Cinema One. 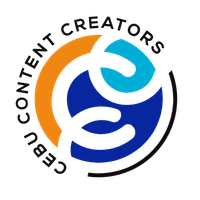 It was witnessed by students from the different colleges and universities from all over the province of Cebu as well as professionals, graduates, and the general public who greatly appreciated and enjoyed the show based on the various positive feedbacks that The Atrium Core Group has received. In connection to the success of the production, the Atrium Core Group who created the play are proud and pleased to announce that they have decided to restage the said play. The Atrium Core Group together with Contemporary Thespians Club proudly brings Kindred Hearts: A Musicale, the Restage on September 29-30 and October 1-2 2010 at Ayala Center Cebu Onstage Cinema One. Heads up for a showing of a world class theater that will surely captivate the hearts of every Cebuano audience. 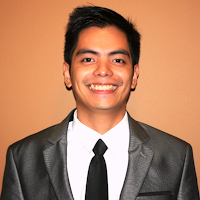 The story revolves around Thomas Kent Galvez, a nursing student, who in one way or another discovers the worth of living and the importance of filial love and companionship; but as he begins to change, he unveils a predicament that entails him to make a decision that involves life and death. This musical production is entirely original and proudly written by a fellow Cebuano. The music was also locally arranged and recorded by its very own cast and crew. Previous performances can be viewed on Youtube through typing “Kindred Hearts” in the search bar in the site. We have posted clips from the musicale and some music videos. Don't miss the spectacular work of the nurses in the province in showcasing their talents to the world. Watch Kindred Hearts: A Musicale, the Restage! The proceeds of the production will go to The Manna Ministry's "Adopt a Student Program", a charitable project which provides funding to well-deserving children who could not afford to go to college. Tickets are sold for Php150.00. For ticket reservations and information, contact by through these numbers: (032)5813679, (0916)7546649, (0932)6860315 or simply email the.atrium@yahoo.com.